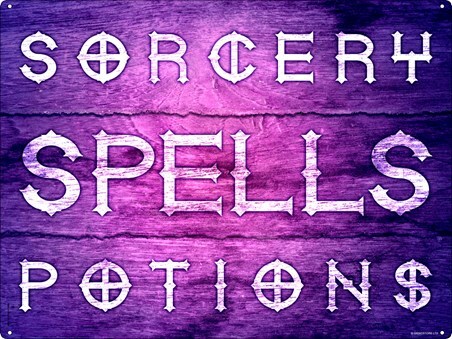 Sorcery, Spells and Potions, if you've got all three of these mastered then you're on your way to being a mighty witch or wizard! Practise mixing your ingredients and make sure your spells don't backfire, this tin sign is ideal for hanging on your bedroom door so your training is uninterrupted! High quality, framed Sorcery, Spells & Potions, The Perfect Combination tin sign with a bespoke frame by our custom framing service.